The protection of marine environments and their biodiversity is a priority for a sustainable future for humanity. Scientific evaluation of the impacts of the compounds released into the marine environments is more important. 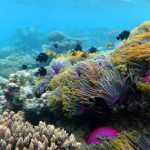 Personal care products and sunscreens have a very strong impact on the ecosystems, especially on marine tropical environments and coral reef, even to low concentrations (Danovaro et al., 2008; Corinaldesi et al., 2017). EcoReach’s mission is that of creating eco-sustainable products, perfectly compatible with the environment and able to protect marine ecosystems and their biodiversity. From the joint experience of the Polytechnic University of Marche Researchers and the EcoReach's team, MarineCare and SunBioCare so are born. 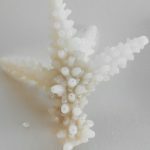 These eco-friendly sunscreen products are a result of years of scientific experimentation and rigorous tests, in different marine environments and on different model organisms. 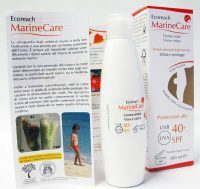 MarineCare and SunBioCare are completely eco-compatible and their ingredients have been evaluated individually and in their final formulation following the EcolCareTM protocol, resulting in top eco-friendly products (A +++), according to the EcolCareTM score. 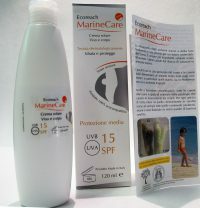 All the components of the EcoReach sunscreens have been chosen to guarantee the maximum skin and marine life protection. 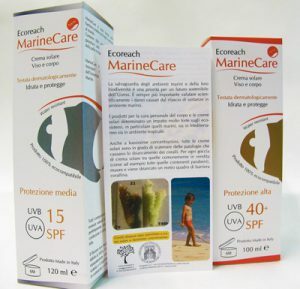 The EcoReach face and body sunscreens are creams developed, tested and patented by biochemists and marine biologists at the Polytechnic University of Marche. For each drop of sunscreen among those commonly sold, a portion of our coasts die and one meter square of coral reef is bleached. EcoReach sunscreens have been created to protect the skin without damaging the most delicate marine ecosystems in the world. 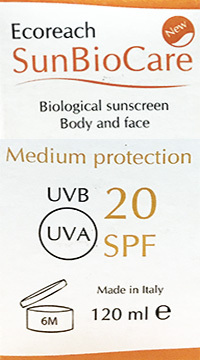 Maximum protection for the skin, environmental health and marine biodiversity. 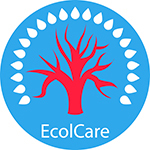 Certified EcolCare A +++: an environmentally friendly product that does not harm marine life. 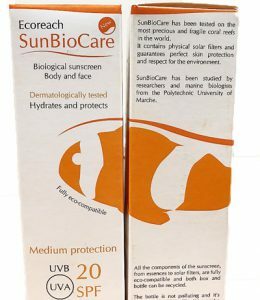 The SunBioCare is an ecological sunscreen and a product of the research carried out at the Polytechnic University of Marche. 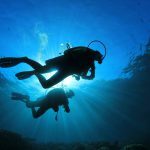 It is completely eco-compatible and has been scientifically tested by marine biologists on the Maldivian reefs to guarantee the full protection of marine life and biodiversity.